This is great way to buy a late model vehicle for a portion of the cost!!! You can fix it up yourself, and we can assist you in any parts you may need. This 2009 Chrysler PT Crusier has been in an accident, and it has a Salvage Title. This vehicle runs and drives. This vehicle has damage to the driver's side front and to the roof of the vehicle. We are an Auto Salvage Dealer, and we sell wrecked vehicles. We also can sell you the parts needed to repair this vehicle at an additional cost. We do not repair these vehicles. That would be up to you, the customer, to have vehicle repaired. We will allow you to start the vehicle on our lot and to check it out as much as you like. If you need the vehicle transported, we may be able to assist you in doing so. Please call if you have any question or if you are interested in getting the cost of the parts needed for this vehicle. 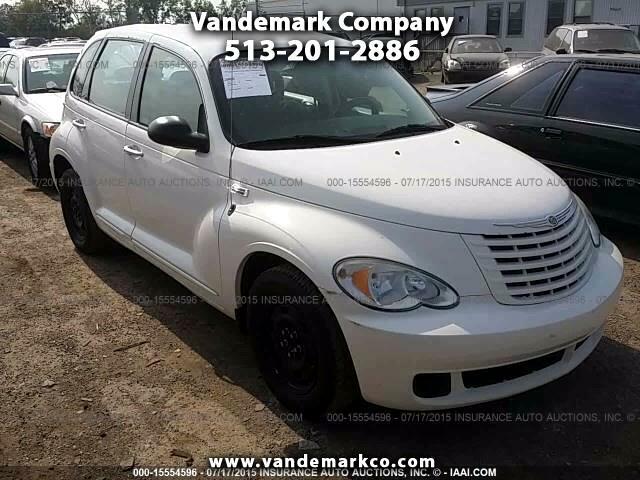 Message: Thought you might be interested in this 2009 Chrysler PT Cruiser.